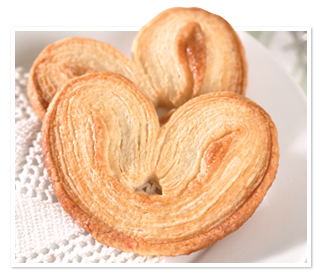 A centuries-old French recipe with over three hundred layers of dough and 100% butter, make each bite of our signature Petite Palmiers irresistibly flaky. It’s an enticing and unique cookie that’s even better with ice cream, whip cream, or just a touch of honey! 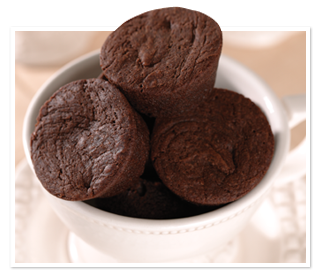 You can find Sugar Bowl Bakery products at stores like Costco, Safeway, Lucky, Walgreens and more! Know a friend or family member who loves to bake? 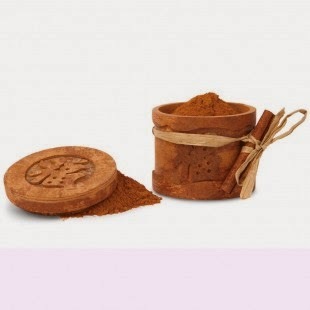 Each beautifully-carved prosperity cinnamon bark box contains 3 oz. of cinnamon and bears a common Asian character for prosperity. Vietnam's renowned sweet cinnamon is a renewable resource collected from the Cassia tree, sold to benefit generations of hard-working families. Purchase the Prosperity Cinnamon here for $85. You can also check out all of the World Vision gifts which help children in need. Is the cold winter weather drying out your skin? Introducing 100% raw, organic, cold pressed coconut oil from the makers of all natural coconut water brand, Vita Coco. Vita Coco extra virgin coconut oil is a multi-purpose miracle oil to hydrate skin, clean hair and teeth and remove make-up. It can also be used to treat skin issues such as burns, eczema and dandruff. Or take 1-2 tablespoons a day as a dietary supplement for a variety of health benefits. Released in August 2014, Vita Coco Coconut Oil is now available on Amazon.com for $18.29 per 18 oz. two-pack. Sweethearts Rosie O’Neill and Josh Resnick dreamed of opening a luxury candy boutique ever since their third date, a screening of Willy Wonka and the Chocolate Factory. They fell in love over the unique and delicious candies they tasted while traveling and were inspired to bring a new concept in gourmet candy to the United States. This dream resulted in Sugarfina, a high-end candy boutique, featuring a unique selection of gourmet chocolates, caramels, gummies, malt balls, licorice and many more delicious confections, 40% of which cannot be found anywhere else in the US. Tequila Avión® is the ultra-premium tequila that defines a new standard of quality and taste. Produced with fifth generation agave growers from the finest Blue Weber agave found in the highest regions of Jalisco, Mexico, Tequila Avión’s distinct flavors are achieved through a combination of slow-roasting at lower temperatures to protect the natural flavors of the Avión Agave and a proprietary ultra-slow filtration process which creates an unusually smooth taste profile. Tequila Avión is available in Silver, Reposado Añejo, Avión Espresso Liqueur and now Avión Reserva 44. Avión was named Best Tasting Unaged White Spirit and Best Tasting Tequila in the World at the 2012 San Francisco World Spirits Competition. 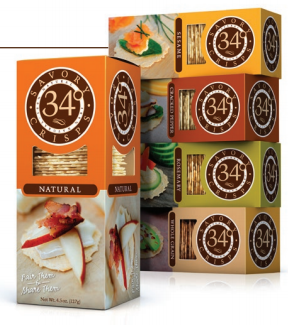 34° Crisps are light, crunchy, all-natural crackers that are simply good to eat. They were created as the perfect companion to the world’s favorite cheeses, but the truth is, fans love them paired with just about anything, and straight from the box too. You can purchase them at Publix and other grocery stores for about $3.99 a box. Doxy’s (www.doxysfinefoods.com) offers a line of spices which were originally created to help men in the kitchen! Each seasoning is all-natural, low in sodium, vegan, gluten-free, and fat-free, making them accessible for every palette and food restriction. Doxy’s products are designed to save time, reduce cost and add nutritious flavor to every meal, for every family. 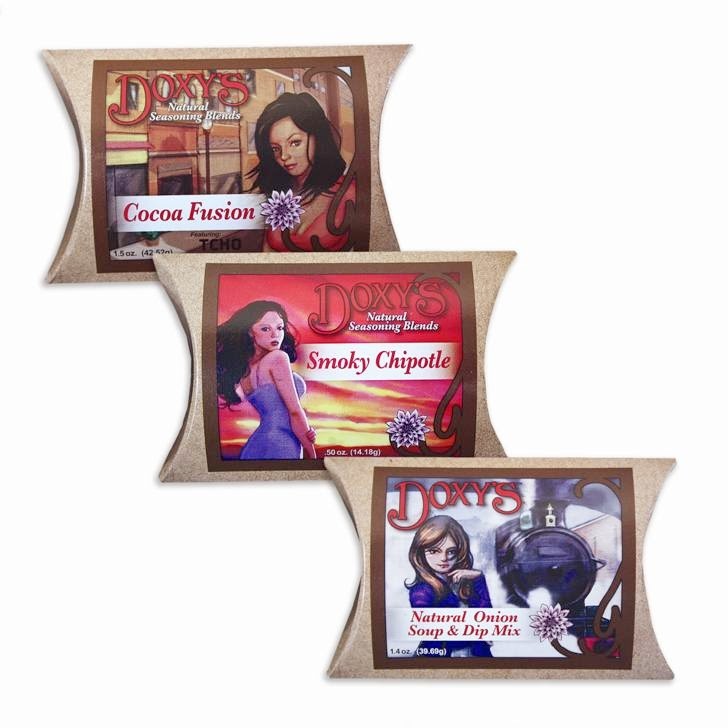 Doxy’s blends include: Refined Ranch, Smoky Chipotle, Natural Onion Soup & Dip Mix, Cocoa Fusion, and new Pasta Sauce Herbs. You can purchase these here for about $3.50 each. Pinnacle Vodka is always a hit at a Holiday party. With SO many flavors to choose from, if you want to be festive, just pick a fun flavor, grab a few of the ingredients for some neat recipes and your party will be a hit! This is my absolute favorite recipe to use with the Pinnacle Peppermint Bark Vodka. 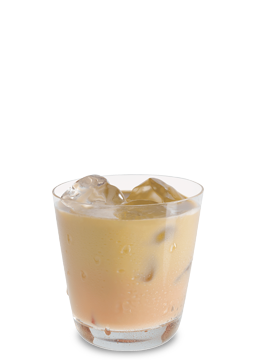 Be sure and check out all the recipes and fun flavors here. 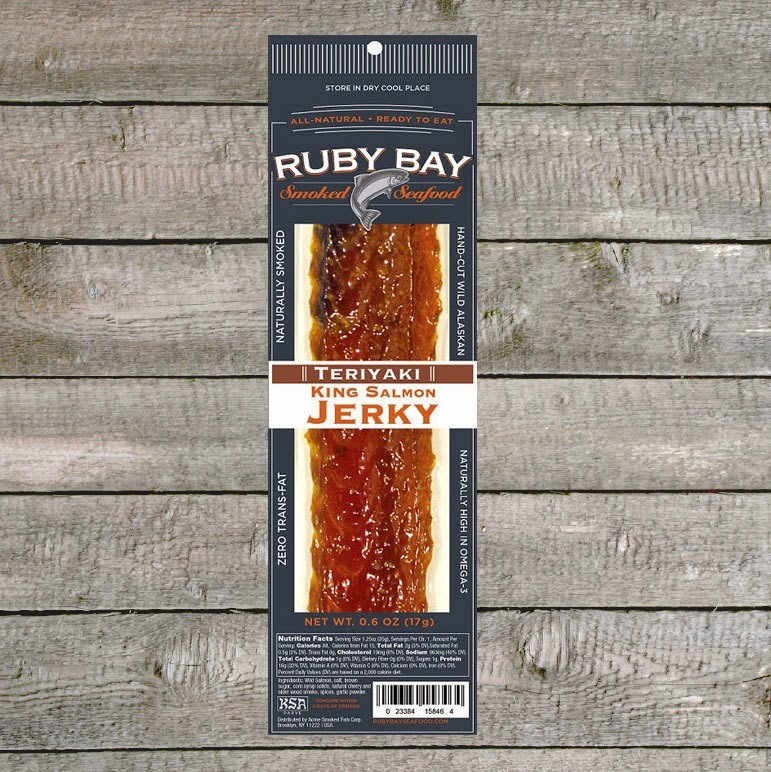 This wild smoked salmon jerky strip is carefully prepared and seasoned with Teriyaki to create a healthy high protein snack on the go. The unique delicacy is hand crafted with all natural ingredients beginning with wild King salmon caught in the pristine waters of Alaska. Teriyaki Jerky is the perfect natural energy boost you need during the day; full of protein, heart healthy omega 3’s, and vitamin D. The healthy low calorie snack is also great for sprinkling on a salad or adding to any homemade recipe. Save 10% on all orders with the code 7KIDS. 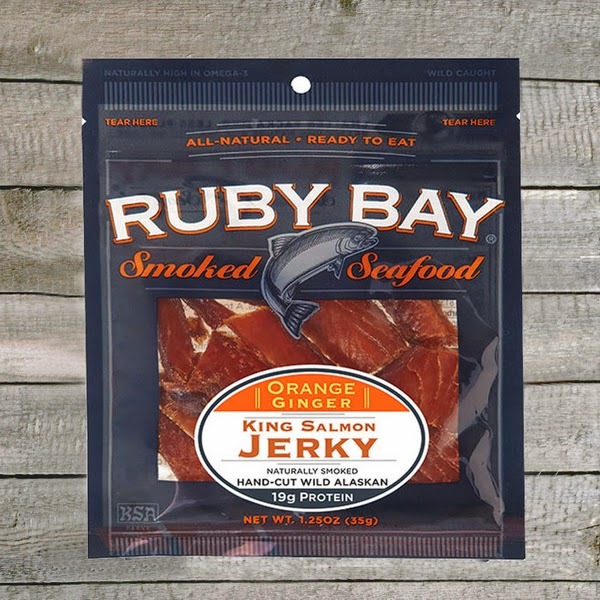 This wild smoked salmon jerky is carefully prepared and seasoned with fresh orange and ginger to create a healthy high protein snack on the go. The unique delicacy is hand crafted with all natural ingredients beginning with wild King salmon, caught in the pristine waters of Alaska. Orange Ginger Jerky is the perfect natural energy boost you need during the day; full of protein, heart healthy omega 3’s, and vitamin D. The healthy snack is also great for sprinkling on a salad or adding to any homemade recipe. 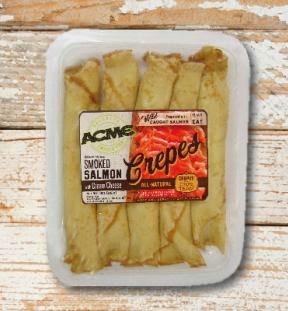 Acme's Crepes are made with the finest smoked salmon caught in the pristine waters of Alaska. Wrapped in a delicate crepe crust, our wild salmon is carefully blended together with natural cream cheese. This ready-to-eat, all-natural delicacy is enjoyed best when HOT. Easy to prepare and serve, the crepes are ideal for breakfast, mealtime, or snacking. The classic Smoked Salmon and Blinis combo is the perfect match for a quick bite, a lite meal, or an easy and delicious crowd- pleasing canapé. The Smoked Salmon and Blinis combo is a ready to eat, heart healthy meal on the go that is high in Omega 3's and only 150 calories per pack.